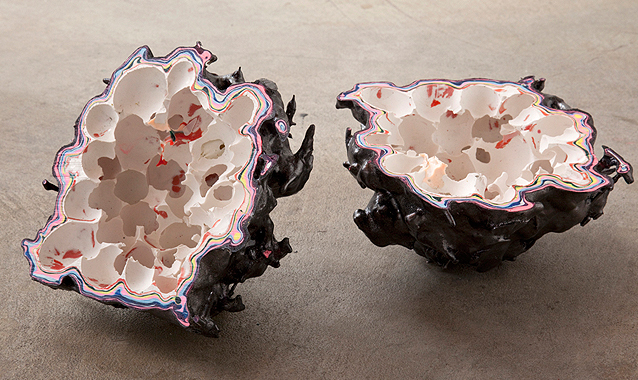 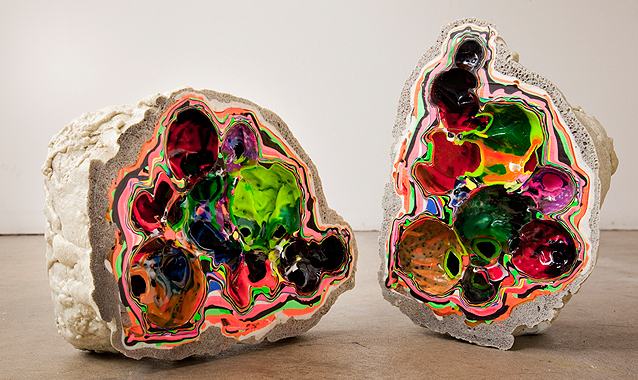 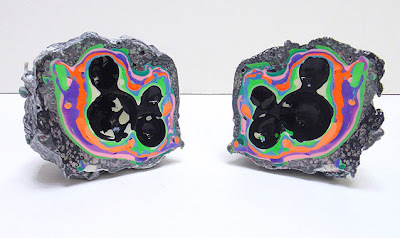 When Elyse Graham was a child, she was fascinated with geodes. 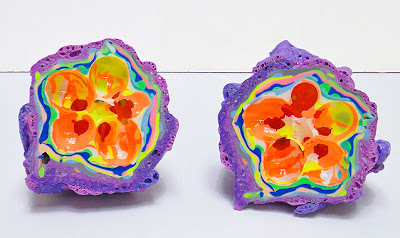 And now, as an adult and more importantly as an artist, she simply makes her own using plaster, latex, urethane, and sand. She builds them around her exhaled breath, which creates the interior bubbles and cavities. 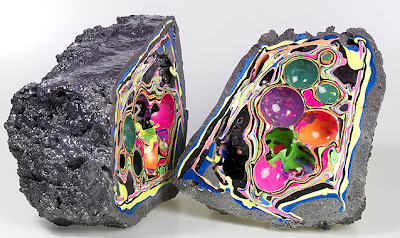 Graham's delightful "man-made" mineral specimens remind me of Paige Smith's work (previously here) in which she installs paper versions of geodes in public spaces such as defunct phone booths.